Defence Minister Christopher Pyne will visit Japan, China and Singapore from 22-28 January as part of continuing efforts to engage with regional actors and security partners. In Japan, Minister Pyne will meet with his counterpart, Takeshi Iwaya, and senior Ministry of Defense and Japan Self-Defense Forces (JSDF) officials. "I will take this opportunity to engage with defence science and technology and industry representatives to discuss opportunities for future collaboration and joint research and development," Minister Pyne said. This renewed focus on joint-defence co-operation, industry collaboration and research and development comes amid growing Chinese assertiveness in the South China Sea and modernisation efforts resulting in the fielding of key power projection capabilities, including aircraft carriers and supporting strike groups, fifth-generation combat aircraft, modernised land forces, area-access denial and strategic nuclear forces, combined with growing political and financial influence throughout the region is serving to shake Japan's confidence. In response, Japanese Prime Minister Shinzo Abe has repeatedly earmarked increased funding for the nation's defence budget, expanding the capabilities of the JSDF and Japan's industrial capability to modernise and equip itself in the face of growing regional instability and tensions. Strengthening and enhancing the industrial capability of Japan to meet the operational and strategic requirements of JSDF. Minister Pyne said the Australia-China defence relationship is a key component of our broader bilateral relationship: "The government is committed to maintaining a long-term constructive relationship with China, founded on shared interests and mutual respect – China and Australia’s success will go hand-in-hand." Minister Pyne will then travel to Singapore where he will meet with Prime Minister Lee Hsien Loong and Minister for Defence Dr Ng Eng Hen. "The Australia-Singapore Defence relationship is founded on strong, long-standing shared interests in regional trade, stability and security," Minister Pyne said. Australia and Singapore enjoy a long history of bilateral and multilateral defence co-operation, through organisations including the Association of South East Asian Nations (ASEAN), Defence Ministers' Meeting-Plus and the Five Power Defence Arrangements. The Australia-Singapore Comprehensive Strategic Partnership (CSP) provides for the joint development of military training areas and facilities in Australia and Singapore to continue to exploit the benefits derived from the development of Exercise TRIDENT as the signature bilateral joint military exercise. The CSP will enable Australia and Singapore to work together on defence science and technology, in areas including combat systems/command, control, communications, computers and intelligence integration; and cognitive/human systems integration. 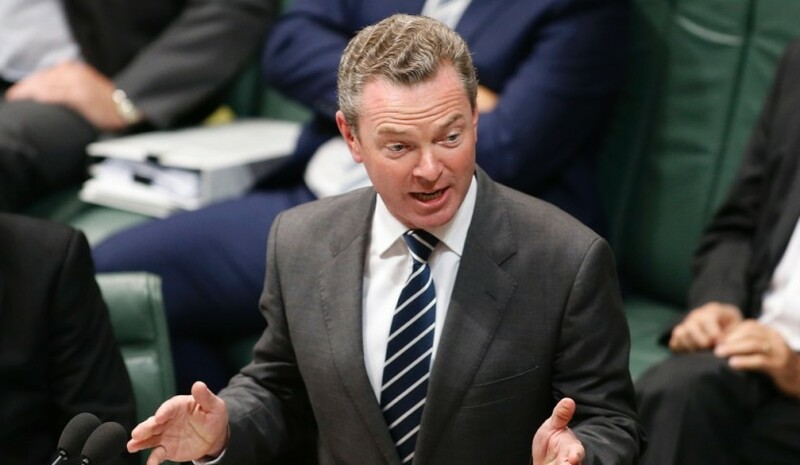 "Australia is firmly committed to supporting robust dialogue on regional strategic issues, and recognises the IISS Fullerton Forum, along with the IISS Shangri-La Dialogue, as key regional defence and security institutions," Minister Pyne said. Minister Pyne's trip to Asia will focus on reinforcing Australia's commitment to regional peace, stability and prosperity and serves to build on comments made by Prime Minister Scott Morrison during the recent APEC meetings hosted in Port Moresby. "While we live on an island — the best one on Earth — we can’t afford to have an island mentality. We embrace free trade, global engagement and an international system where we agree to rules, stick to them and honour our commitments. We embrace an open, stable and prosperous Indo-Pacific region. Because shrinking into ourselves will never work," PM Morrison said at APEC.